Certain drug crimes are illegal under both state and federal law and if you break the laws on controlled substances, you could find yourself in federal court. 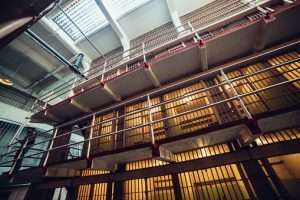 Many federal drug offenses carry minimum sentences as a result of a wave of “tough-on-crime” laws passed during the 1980’s and these minimum sentences can result in lengthy terms of incarceration. Unfortunately, a new report from Human Rights Watch indicates that federal prosecutors may be using the threat of charging defendants with crimes carrying lengthy minimum sentences in order to coerce defendants into pleading guilty to their offenses. An experienced criminal defense lawyer in Houston knows that every defendant has the right to a trial and should not face harsher punishment simply for choosing to exercise that right. Behavior on the part of prosecutors who try to coerce plea bargains serves as one more reminder to those accused of criminal acts that they need their own legal advocate looking out for them and protecting their constitutional rights. The mandatory minimum sentences related to drug crimes that were passed in the 1980s were ostensibly intended to keep big drug dealers and drug king pins behind bars for a long period of time. Unfortunately, instead of specifically addressing the nature of the crime that would result in these lengthy sentences, the drug laws instead focused on the amount of drug that a person had in his or her possession. The result of this has been that street dealers and drug couriers, who have a relatively low-level role in the business of selling drugs, could face the same mandatory minimum sentences as the leaders of drug dealing enterprises. A courier or street dealer would likely have large quantities of a drug in his possession and thus could be charged with a very serious crime based on the quantity alone. Prosecutors, of course, have discretion with what crimes to charge defendants. Instead of using that discretion to shield defendants from the harsh effects of mandatory minimum sentencing, Human Rights Watch suggests that many are doing the opposite. Prosecutors are bringing the charges against people who commit low level drug crimes but offering plea deals that carry far less harsher consequences. The natural effect of this is that people become afraid not to take the plea, and thus give up the right to defend themselves in court. The Human Rights Watch data shows that as many as 97 percent of defendants now plead guilty to drug crimes charged at the federal level. For those that don’t, the risk is tremendous. For example, while the average criminal sentence for a federal drug offender who accepted a guilty plea was five years and four months, the average sentence for someone who was convicted and who was sentenced after trial was 16 years of incarceration. The huge discrepancy in prison time underscores the importance of making wise choices when deciding how to handle your drug charges. Call Joseph LaBella & Associates 1-800-989-6839 today for your free consultation. Serving the Houston, TX area.